UFC Vet & The Ultimate Fighter Season 10’s “First Pick” for Team Rashad Evans, James McSweeney joins EVil Eddie to discuss the heavyweight division and Bellator’s Heavyweight Grand Prix starting with his reaction to Fedor vs Mir that went down last Saturday night at Bellator 198. James says the reason for Frank Mir loss was a result of his “poor work ethic” and not training hard for fights. We discuss Sonnen vs Fedor. 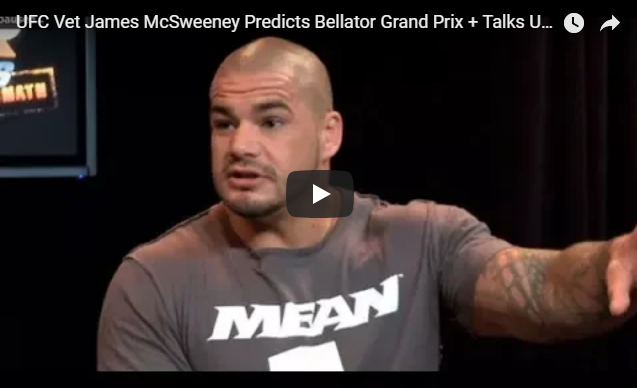 He also explains how Pride has taken ” a lot of guys youth” like Fedor/ Silva/ Rampage etc.. McSweeney then goes on to let fans know about his upcoming fight inside the brand new Lumpinee Boxing Stadium in Bangkok, Thailand, May 23rd streaming on NBC Live. UFC Vet &The Ultimate Fighter: Season 10’s “First Pick” for Team Rashad Evans, James McSweeney joins EVil Eddie to discuss the heavyweight division + Bellators Grand Prix starting with his reaction to Fedor vs Mir that went down last Saturday Night.